I want some Fog lights for my car but my bumper doesnt have the holes for fog lights. 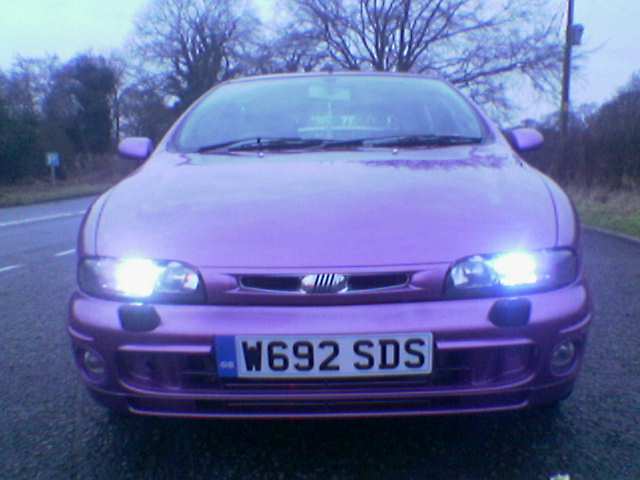 Would this mean i would have to buy a completly new bumper in order to have fog lights fitted? Helz, keep us informed over the switch and the wiring. Since Im wanting to follow the route you went . Looks much better that way. and if that switch will work, then sweet! When I got my Brava I did come across an SX JTD that had the fogs and uprated interier in it. Chances of that ones panel fitting and working on our SX's ? Last edited by Scorg; 25-01-2006 at 19:14. Ok, i will clear this up. The MK1's never came will all the wiring for the front foglights, part of the wiring is missing, so you simply cant get a bumper with foglights and plug it in with no hassle. Not true. You need to buy the wiring that links the two foglights to the cars main wiring loom. With that your lights will work BUT then you will need a new switch panel to accomodate for the foglights. You need to be sure that when you buy your switch its the same switch for your car, i.e the plugs on the back are the same. Depending on year of car this can vary. Always best to remove the old one and compare with the one you wanna get. To save embarassment and moaning when it dont fit. The MK2's however mostly all of them came with all the wiring to the front foglights. So no problem there, fitting a HLX/ELX bumper to your car. Yes the Bravo HLX bumper will also fit. Note: the headlamp washers will not work unless you buy the larger, twin motored water reservoir tank with all the necessary pipework and wiring. Again the switch issue must be addressed. Make sure you check the old switch to the new switch. I also know its possible to cut the front bumper in the same place as the HLX/ELX cars and fit the foglight covels in there. Instead of being a flush fit, like the ELX/HLX about 2mm will protrude. Which is nothing and hardly noticable. Obviously the hole must be slightly smaller than the cowel so that it doesn't just drop inside the bumper. When its all aligned, drill holes under the bumper for the fitting screws and your done. Approx cost £30 for foglight cowels with foglights. Also cheaper to repaint, you can even do it yourself. The car below has cowels with the foglights on a SX bumper. He cut the bumper and fitted them. Only pic i have. At the moment i like both ideas. BUT i dont like the idea of having the headlamp washers with a new bumper isnt appealing. I like them and thinks its a good idea but i have never seen a brava/o with the headlamp washers that i thought looked good and i dont think i can see my brava with the washers either (Im really sad and picky with things like that). If i were to get my own bumper cut id rather not do it myself. A garage should be able to do the job for me shouldnt they? Also Helz where did you get your bumper from? Helz your brava is HOT! ooo parts gateway. They have my email address etc already. I was trying to find some Bravo HGT alloys i saw on this media file i have but they havent found anything for me yet. Last edited by Sonic74205; 28-01-2006 at 00:15. But if i didnt get the same colour and had it sprayed then wouldnt it looks wrong with the rest of the car. As it would be old paint with new paint. Going to keep on looking for a elx/hlx bumper.